2. Use Heading 2 (you can modify it to look how you want) for your chapter headings. When your .doc is converted to ePub in Pages, this heading will be used to make the NCX/Table of Contents. It also creates a page break in the ebook. I use Heading 2, for Heading 1 seems to add an extra empty page at the end of each chapter. Each of your Heading 2 headers will show up in the Table of Contents (TOC). 4. Open Pages, and then open your Word .doc file. Take note of any warnings that come up, but I generally ignore them. 5. Go to View, then click on Show Inspector. This will show the styles in your document. Ignore the grayed out ones. They don’t matter. Make sure there is only a checkmark beside Heading 2, and not beside any of the others. 6. Go to File, Export, and choose ePub. Save it where you’d like it saved. 7. If you’ll proof your ePub on an iPad, connect your iPad to the computer and open it to iBooks. 9. Find your ePub file via Finder and drag and drop it into Book Proofer. 11. Check the ePub in the iPad. Check the TOC, and make sure it looks how you want. Make sure the links work. Scroll through the entire document (sometimes it helps to look at it in different sized fonts) and make sure everything is as you’d like it to be. If not, go back to Word, make the changes, and open it again in Pages, etc. (Or make the changes in Pages, if you’re familiar with that software.) Repeat as necessary. *** If your ePub output looks awful, you’ll need to go through and carefully reformat your Word .doc so it will look right in the ebook format. 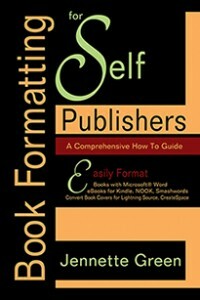 I’ll put a shameless plug in here for my short ebook, How to Format an eBook for Kindle, Nook and Smashwords. NOTE: This book does NOT have instructions for the Mac! Not yet, anyway. However, the general principles for ebook formatting still apply. Smashwords’ Style Guide (which is free) is also an excellent reference. This entry was posted in Format eBooks and tagged convert doc to epub, convert word to epub, doc to epub, epub in the mac, word to epub. Bookmark the permalink.